Agoraphobia is a progressive condition where a person initially fears a place where he or she previously had a panic attack. They then start to avoid other places which might be crowded, or where help might be unavailable when they have another attack. This includes potentially harmless places like shopping malls and marketplaces as well. In its severe form, the person is unable to even leave their house or room due to fear of going outside their comfort zone, where there is the least chance of embarrassing themselves. Since my childhood I suffer from social phobia.Suggest some ayurvedic medicine. - Enclosed spaces (like tunnels). - Open spaces (like parking lots). - Crowded places (like markets). - Using public transport vehicles (bus, train, etc.). In short, it is a fear of any place or situation that they visualize as threatening or inescapable from in case of embarrassment or distress. Avoiding places and situations that could trigger their panic attack. Not having left the house in an unusually long period of time. Dependence on others for procuring basic necessities and getting their work done. Hesitating to leave the house even in case of a medical emergency. A family history of the same. The treatment of agoraphobia decided on for the individual depends on the severity of the symptoms experienced. While some find they are able to comfortably travel a certain distance, some remain housebound or even room-bound, while some others feel safe to venture out when they are accompanied by a friend or someone they are close to. So, it is vital to consult a healthcare professional for this condition, who will ask you some questions to assess the severity accurately and treat you accordingly. With proper treatment, there is a good chance of improvement in the overall lifestyle of the affected individual. 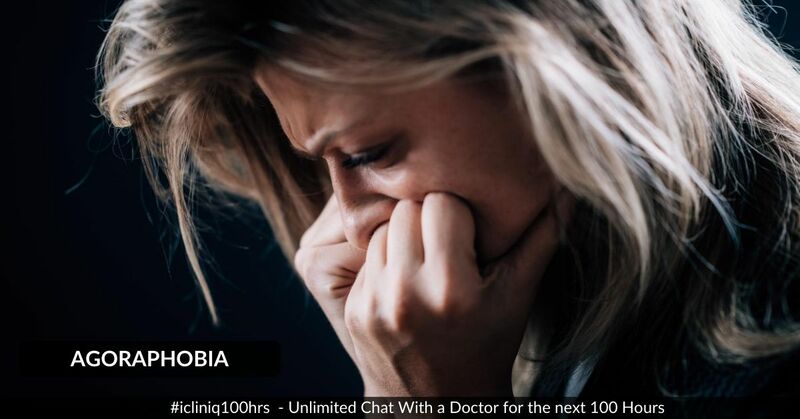 Do you have a question on Panic Attack or Social Phobia?